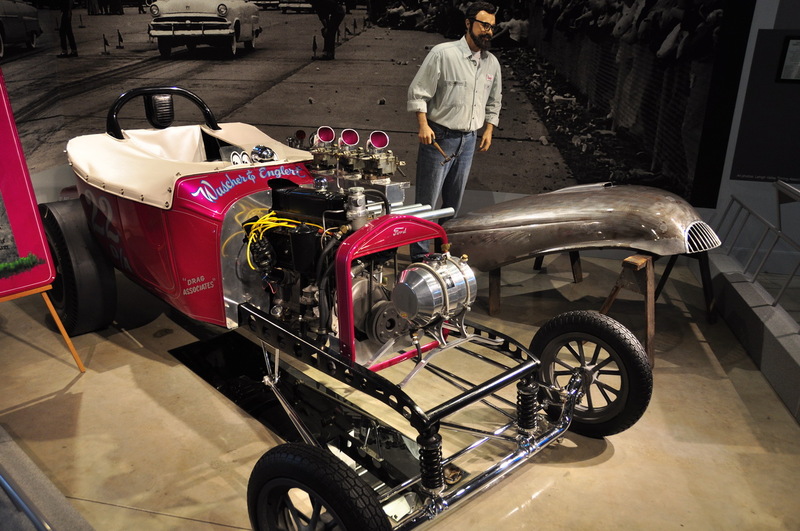 Located in Allentown PA, about 20 minutes from the NJ border and less than 2 hours from the Jersey Shore, is a less-known but very cool museum: America on Wheels. Hidden in this industrial town in the Lehigh Valley, the relatively new museum (open in 2008) is rarely crowded and can be part of a day trip to the Poconos. 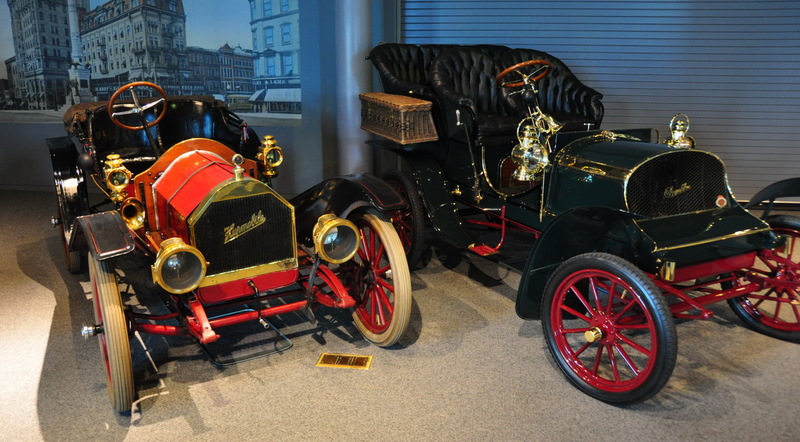 It features over 75 bicycles, motorcycles, automobiles and trucks in exhibits that tell the story of people and products on the move, from the days of the carriage to the vehicles of tomorrow. There are a few big halls, one with mostly old vehicles, one divided between trucks and race cars, and on the 2nd floor one for temporary exhibitions. It’s a museum that both kids and their parents (especially dads) can fully enjoy. 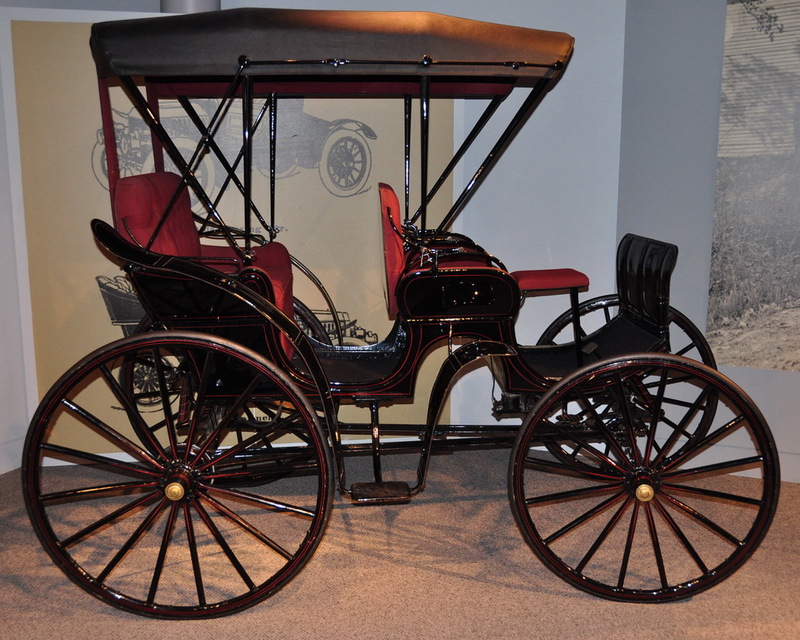 Probably the most important piece in the collection is the 1889 Nadig Gas-Powered Carriage, one of the first gas-powered vehicles driven in America. 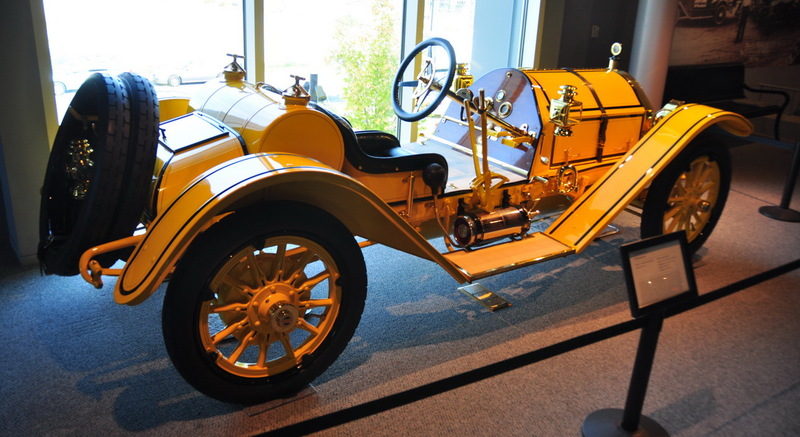 Among other historical vehicles are a 1890 Studebaker Carriage, a 1903 Ford Model A, a 1909 Stanley Steamer Model R, a 1910 Flying Merkel Motorcycle, a 1913 Harley-Davidson Model 9-A, a 1915 Model T Ford Roadster and many others. 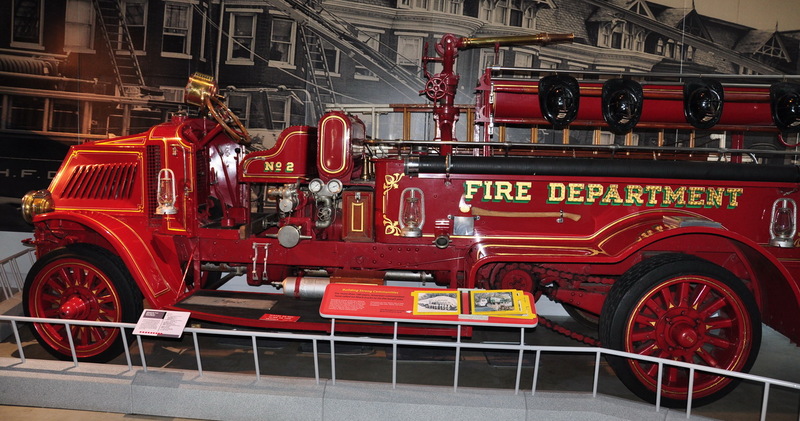 Little ones will love the 1918 Mack Fire Truck, as well as a few interactive displays, like the gas pump and the Mack simulator. 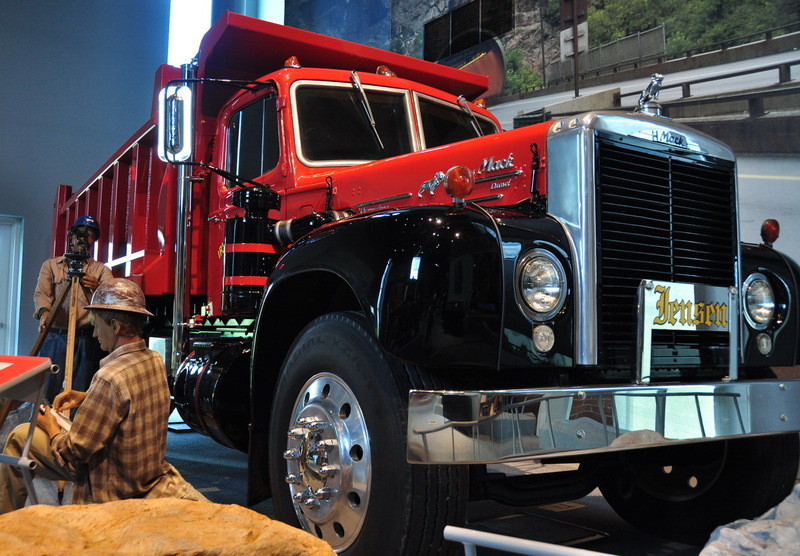 In the next room there are a few impressive trucks, most of them of the Mack brand, since the museum is affiliated with the factory, and they are built right here in town. 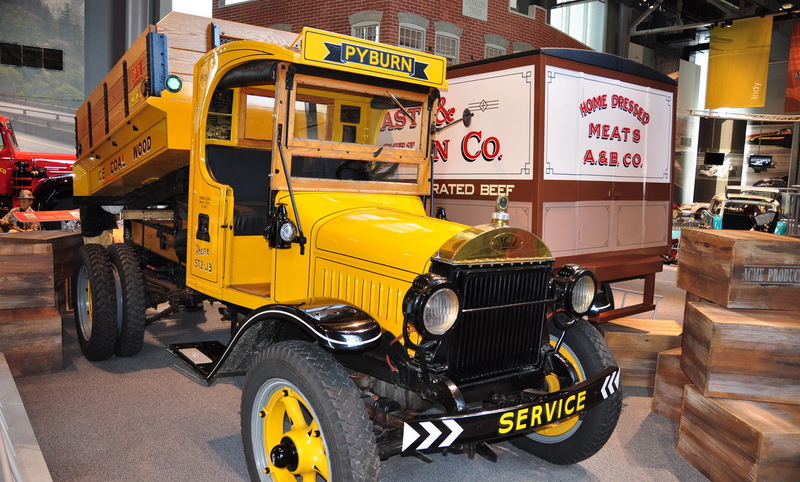 You can see a 1916 Mack Paddy Wagon, a 1957 Mack B61, a 1927 Mack AB dump truck and more big rigs. Sharing the room are a few classic race cars, but also more recent Nascar and stock cars. On the second floor there are changing exhibits, and when we went in October 2013, it was dedicated to Brilliant Brass Beauties. 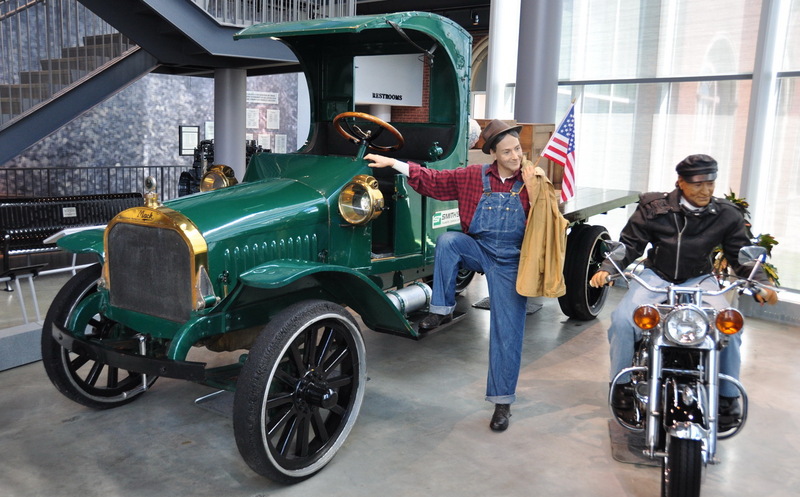 So if you’re looking for a weekend getaway, America on Wheels is a great choice now the winter has come, and there’s not much to do outside any more. It can fascinate your kids while being very interesting for you, the parents, and you can combine it with a stop in nearby Bethlehem, the Crayola Experience, or snowtubing at Blue Mountain.